There is a nationwide problem occurring with the dependence on drugs and alcohol. This problem is something that can be seen in both the rich and the poor and in all types of ethnicities and social groups. Those who are suffering from a dependence on drugs and alcohol are commonly not the only ones suffering, family members and friends also suffer. Centers such as WhiteSands’ Tampa detox facilities can help those individuals who are suffering from an addiction and guide them through recovery. The WhiteSands Tampa medical detox center allows patients to rid their body of impurities and toxins built up over the length of an addiction and leads them through the right steps in recovery. If you or someone you love is suffering from an addiction, call today to speak with someone at the Tampa drug alcohol detox facility at (877) 855-3470. Continue reading to learn more about what the Tampa detox facilities have to offer. What are our Tampa detox facilities like? The board certified staff at WhiteSands Tampa understand that not one person is alike, just like addiction. The staff are trained in knowing what needs to be done and accomplished to allow their patients to recover through customized treatment plans that touch on any problem the individual may be suffering from. What should I expect in a Tampa medical detox? When an individual decides that help is needed and has been admitted to the Tampa detox facilities the first step is to evaluate the patient for the mental and physical state. This step allows for the medical staff to learn about what the patients needs are and how to establish their individualized treatment plan. Once the patient has been evaluated they may then enter the medical detox step which is undoubtedly the most difficult step in a rehabilitation program. The patient is monitored 24-hours a day while going through the detox which brings out withdrawal symptoms and is physically painful. The bright side of this step in the process is that once the patient gets through it, their body is clean of the impurities that built up over the duration of the addiction. This step is commonly aided with medication to help ease the pain the patients may be feeling and ultimately ease the withdrawal symptoms. Once the patient has completed their detox they can continue with their individuated treatment plan allowing them to attend group therapy, individual therapy, enjoy the facilities and continue their road to recovery. WhiteSands Tampa detox facilities allows their patients to reach their goals and live a healthy lifestyle, reach out to them, get help today. 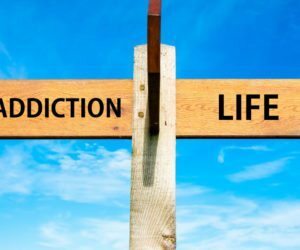 ← Can You Forgive an Addict?